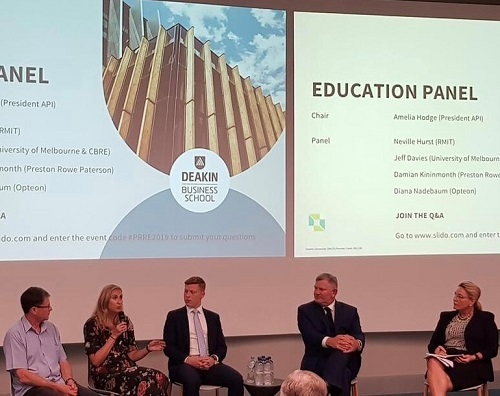 On Tuesday 15 January, Opteon Chief People Officer Diana Nadebaum was pleased to join the Education Panel chaired by API CEO Amelia Hodge at the Pacific Rim Real Estate Society (PRRES) Conference at the University of Melbourne. The Conference Industry Day included sessions on important property industry wide topics, including educating our people, data and technology impacts, PropTech, Blockchain and other leading-edge advancements, and the current state of the market. 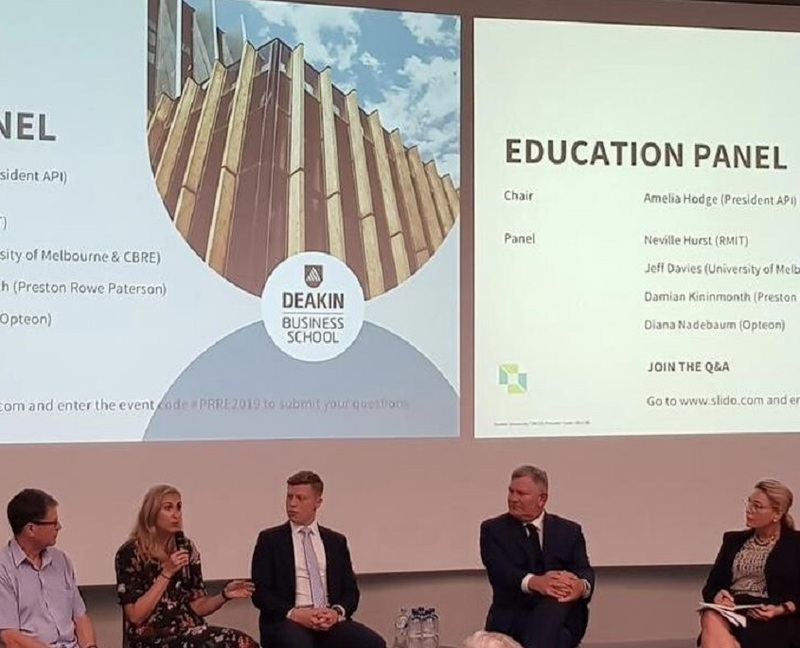 Neville Hurst (RMIT), Jeff Davies (University of Melbourne & CBRE) and Damian Kininmonth (Preston Rowe Paterson) also sat alongside Amelia Hodge and Diana on the panel. For more information on the Pacific Rim Real Estate Society (PRRES) Conference and the program click here.